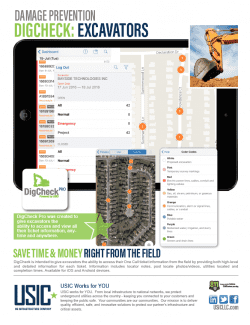 DigCheck: Save time and money in the field. TICKET RISK ASSESSMENT (TRA): A second set of eyes to prevent damages and protect lives. Being the leader in damage prevention, USIC leverages the latest and the greatest technology as a key differentiator for our customers and for our employees. 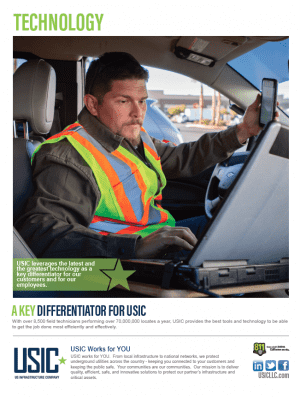 With over 7,500 field technicians performing over 70,000,000 locates a year, USIC provides the best tools and technology to be able to get the job done most efficiently and effectively. Download Our Brochure Want to know more about our Technology Offerings? Click to view. DigCheck is intended to give excavators and utility companies the ability to access our internal ticket information from the field. DigCheck provides an "at a glance" view as well as detailed ticket information including locator notes, photos, and completion times. Made for iOS and Android devices. DIGCHECK Brochure Want to know more about DigCheck Customer Portal? Click to view. All of your information is just a few clicks away! 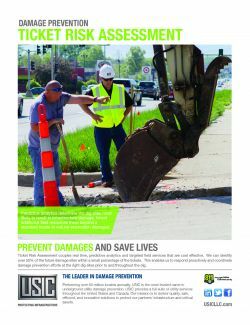 USIC, leader in Damage Prevention also delivers world class technology to help our customers interact with their data. The USIC Customer Portal is designed to give customers access to ticket information anytime they need it – on their desktops and mobile devices. Our Portal technology lets you view and search for tickets in few easy steps.